Have you been trying to envision the level of luxury offered at Brixx Kelowna? Wonder no more, as we have recently unveiled the new dollhouse rendering of the B1 floorplan at Brixx Kelowna. 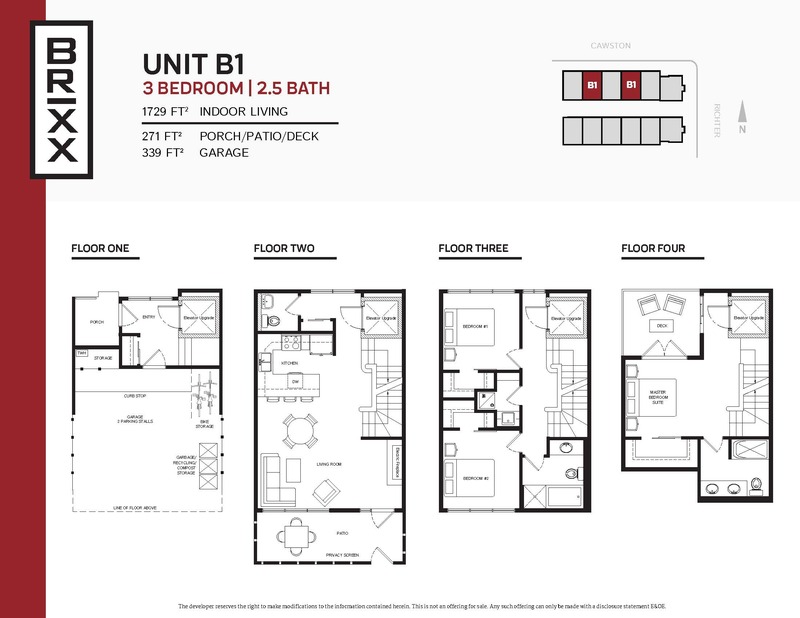 The B1 plan features 3 bedrooms, 2.5 baths, double side-by-side garage and three outdoor living spaces boasting 271 s.f ideal for entertaining under the Okanagan sun. 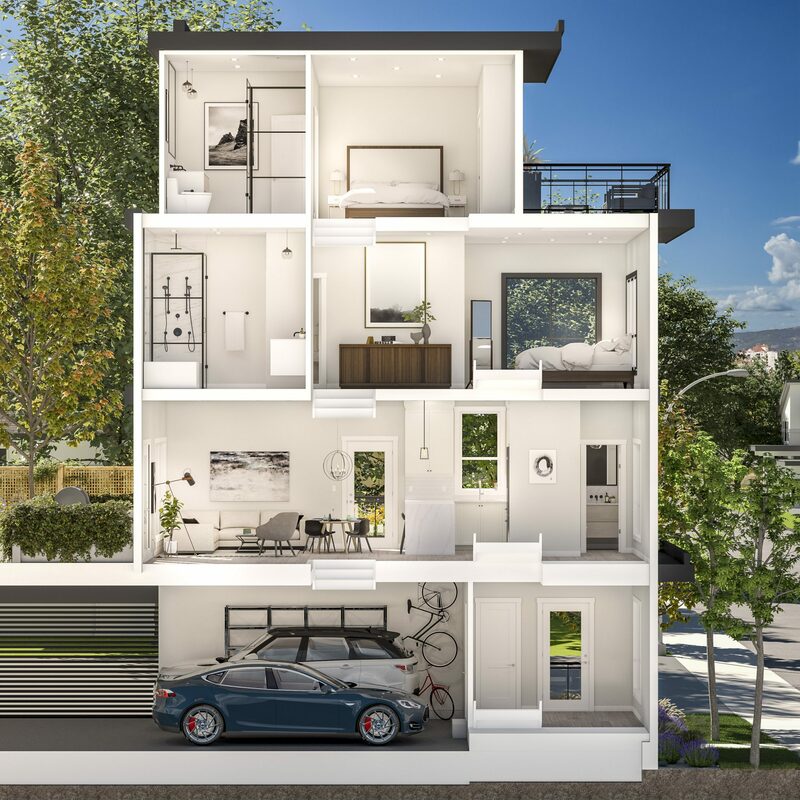 Inside, live comfortable with 1,729 s.f over 4 floors, complete with a fourth-floor master suite with a private patio which boasts views of surrounding downtown and Knox Mountain Park. Inspired by the rich legacy of the urban core, Brixx Kelowna is finished with only the highest-end features and finishings. Contact the Brixx Property Specialist to book an exclusive appointment.